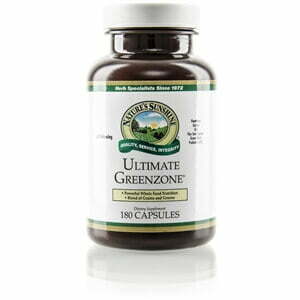 Nature’s Sunshine Ultimate GreenZone® contains an abundance of nutrients to help supplement and alkalize your daily diet. Ultimate GreenZone® supports digestion through enriching enzymes, along with providing extra energy for any activity. Ultimate GreenZone® is easily metabolized into energy and helps promote proper bodily functions, including waste elimination and immune capability.